HomeBlogHome DecorSunrise Lamp by Natalia Rumyantseva. Sunrise Lamp by Natalia Rumyantseva. 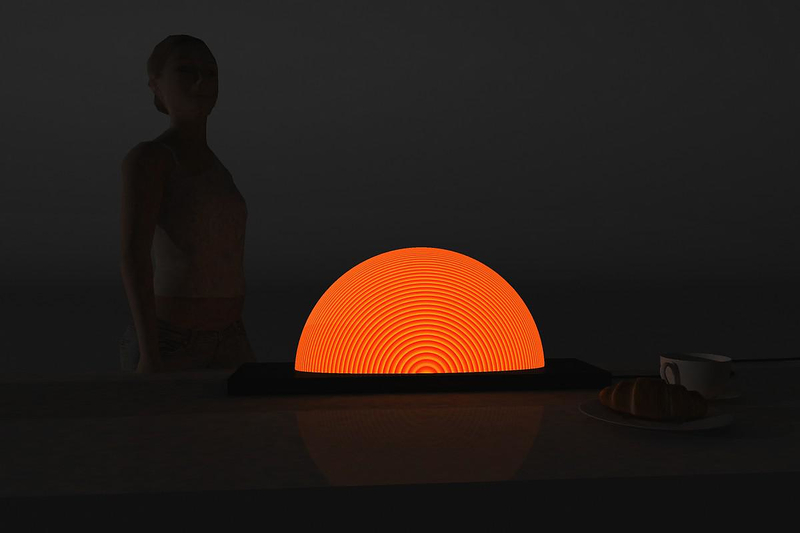 Russian Designer Natalia Rumyantseva drains inspiration by the sunrise and presents the Sunrise Lamp, an elegant lighting that looks like a rising sun. 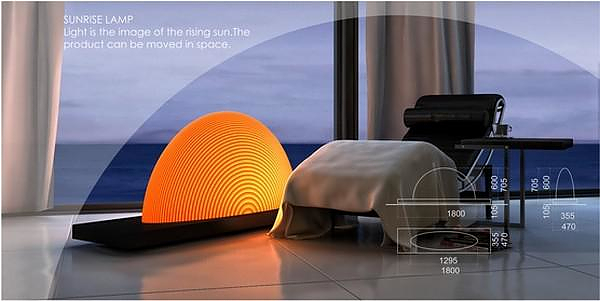 The designer wanted to convey the vivid and fresh feeling of waking up with the sun. 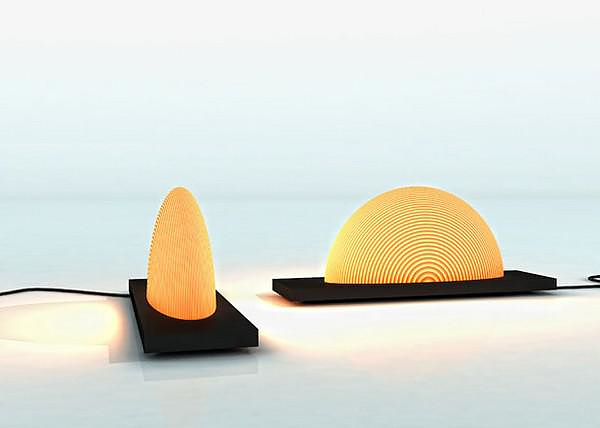 The Sunrise Lamp comes in two version as a large floor lamp or as a compact table lamp. Moreover, this peculiar design successfully represents the intense symbolism of the rising sun. Form the ancient time the sunrise and sunset express strong symbolisms, for example in Japanese culture, the sunrise is a symbol of happiness and prosperity, the warm light of the sunrise lamp is designed to fill your space with positive sunny energy. 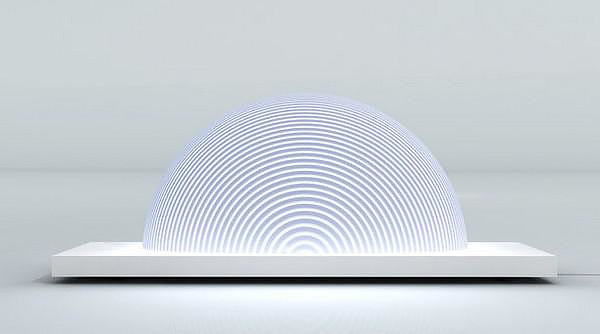 The Sunrise lamp is made of translucent Corian and one can choose from which they want their personal sun to rise. 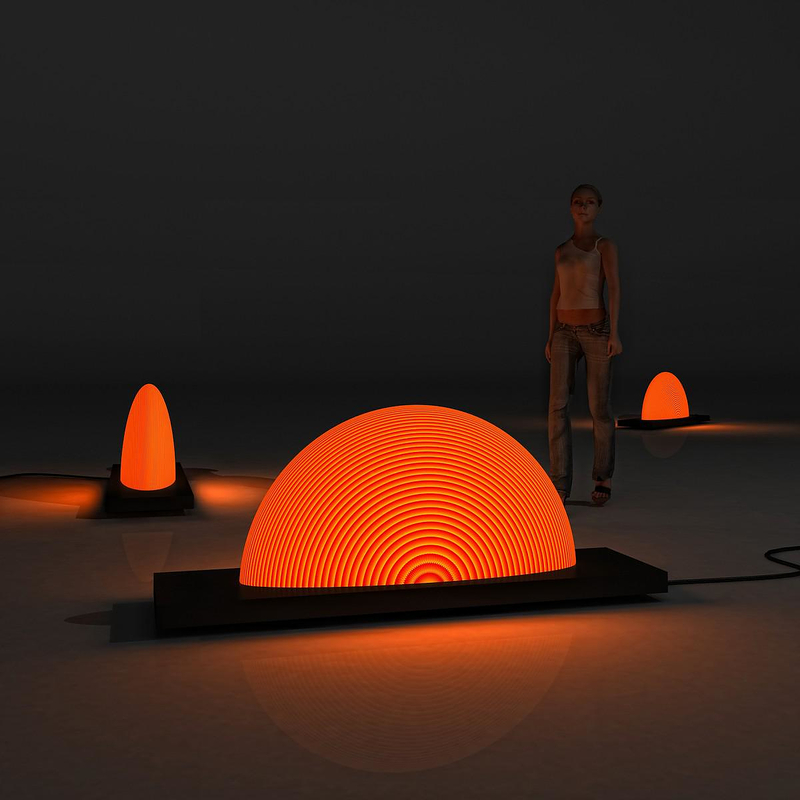 The Sunrise lamp is not in production yet, at present it is a design concept, yet it has already won the prestigious “DESIGN AND DESIGN” International Design Award (Paris, 2013). Machine Lights by Frank Buchwald. LIGHT Minimalist LED Lamp by Studio YOY.